Caring for a family member with leukemia can be overwhelming. Oncologist Hetty Carraway, MD, shares her seven best tips for caregivers. If you are taking care of a husband, wife or another family member with leukemia, you probably have questions. You may wonder: Do I know what I really need to know about this disease? How can I best help — and what exactly should I do? Caring for anyone with a life-threatening illness can feel daunting. Oncologist Hetty Carraway, MD, shares her best tips for caregivers. Perhaps the most important thing for you to do is to advocate for your loved one, Dr. Carraway says. Try this: Develop a rapport with the doctor (and nurse/nurse practitioner) and go to all appointments (or hospital stays). Be prepared to listen carefully, take notes and ask questions. Cancer patients undergoing chemotherapy are at greater risk for infections, such as pneumonia or the flu, because chemotherapy kills off infection-fighting white blood cells along with cancer cells. Common symptoms of infection can include fever (100.5° F or higher), sore throat or abdominal pain. Less commonly, a person could experience confusion, without other symptoms, which can signal an infection. Try this: Always wash your hands thoroughly and get a flu vaccine each year. You can also encourage your loved one to wash their hands often and wear a protective mask when they leave home or are in large crowds, especially if blood counts are low. If your family member is undergoing chemotherapy and has a picc line or a Hickman catheter (an intravenous access port), it’s important to change the dressings covering the line site appropriately. Make sure the site does not get wet as this is another entry way for infection risk. Also, watch for signs of infection, such as tenderness or redness at the site, or even fevers. You can help make chemotherapy treatment more tolerable for your loved one with strategies for managing and anticipating side effects. For example, even though lack of appetite is a common side effect, you can help make sure that your loved one gets enough to eat and drink. Dehydration can contribute to making nausea worse and set off a downward cycle that is hard to stop. 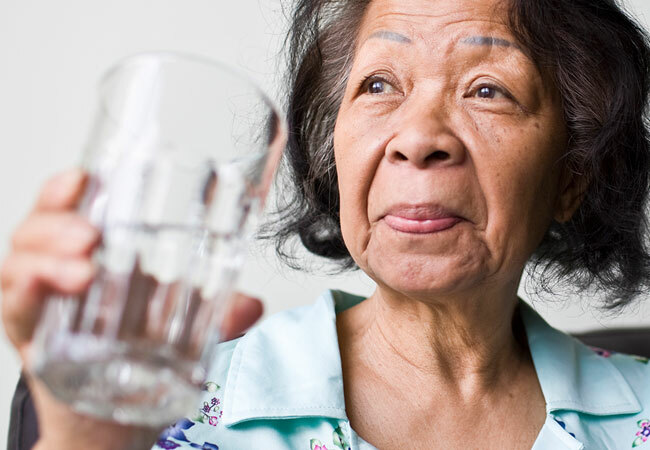 “It’s important to stop dehydration as early as possible because the less hydrated someone is, the more nauseated they become, and as a result, and the less they want to eat or drink. It becomes a vicious cycle,” says Dr. Carraway. Similarly, diarrhea can get out of hand if it isn’t managed well. Encouraging your family member to take an anti-diarrheal, if and when prescribed, can help. Try this: Keep your loved one hydrated by encouraging them to sip water or eat ice chips (or an occasional popsicle) throughout the day. Check with the doctor about adding high-calorie or protein milkshakes to their diet to boost protein and caloric intake. Another tip: Offer five or six small meals each day instead of three large ones. Eating too much at once can make nausea worse. Patients vary in what they want and need, says Dr. Carraway. Her advice? “Try to be flexible and remember that it’s hard to ask for help, especially if your family member was always used to doing things for themselves. Some patients, particularly those who are older, don’t always do things in a predictable manner,” she says. Try this: Find out more about how your loved one copes so you can better understand his or her needs. Exercise is likely not top-of-mind for someone who has leukemia, but it’s important to encourage your loved one to stay physically strong by walking and staying active. “Try to find creative ways to keep your loved one motivated, as this can help maintain their strength and endurance, and boost their mood,” says Dr. Carraway. Try this: Help keep your loved one moving by creating a routine around daily activities, such as walking to the mailbox or taking a dog outside. Identifying ways to stay on a routine really helps capture consistent expectations around physical activity. There definitely will be days that are hard, and sticking to a routine helps your loved one to stay on course and not lose ground on physical strength and muscle mass. Another tip: Set simple goals, like showering every day and walking 5-10 minutes two to three times a day. These are a good place to start. Yoga and music are also great outlets as well. Caring for a family member with leukemia is often a long-term endeavor, particularly for patients with acute leukemia who are facing prolonged hospital stays. Don’t forget to plan for day-to-day tasks at home while your loved one is away. Talk with them (and any other caregivers) to decide who will pay bills, mow the lawn, get the mail and take care of pets, if needed. Learn whatever you can about your family member’s illness and treatment plan. By doing this, and following the tips outlined above, you can help improve your loved one’s chances of a good outcome.